Here at Way2Go Adventures we could spend all day and night telling you how great we are, but we understand that you may not believe us! So we decided to let our customers tell you how great we are instead. “Had an excellent day. Very informal, you paddle at your own pace while having the instructor there as and when needed to give advice. Stunning scenery and wildlife especially at this time of year with the Autumn colours of the trees. Stopped in Symonds Yat for lunch at a very nice pub. Ended the day in Monmouth which is also worth a visit. Would recommend this experience. “Wayne and his mother were perfect hosts and we thoroughly enjoyed our morning on the river, and learnt a lot about boat craft whilst exploring the stunning scenery from a completely different perspective. 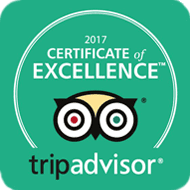 To see more reviews or to leave a review yourself please see us on TripAdvisor, Facebook or Google.